The medium of choice for Do Byung-Kyu, born in Cheonan, Korea, is dolls: they are both his conceptions and his physical expression. At the same time dolls are also the perfect tool for communicating the artist’s inner self. Expressing himself by means of dolls liberates Do from the restrictions of the mundane world. By embodying in the form of dolls his actions and thoughts, dreams and desires, and even the instincts lying in the depths of the subconscious, he transcends the secular boundaries. Dolls are his alter ego, his other self that he can construct precisely the way he wants. Sublimating the experiences and memories from his youth into various subjects of desire, Do uses dolls to paint a descriptive picture of the ambiguous feelings of contradictions from his childhood when he would abuse and kill a plaything, for example a frog, then bury the body in solemn mourning over its death. These sexual or violent games from his childhood are not likely to be limited to Do’s experiences alone. Most of us can vaguely remember indulging in sadistic acts of sexual love against a doll. Rising above a child’s simple curiosity, it is an intuitive game of the senses we play by ourselves. 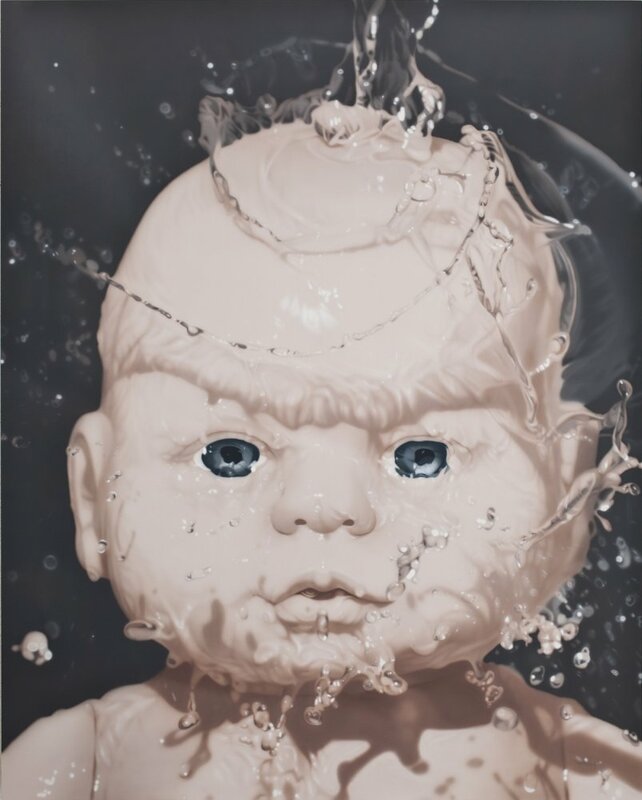 In a number of Do’s paintings, sticky liquid can be observed dripping down a doll’s face. This brings back recollections of the life inside our mothers’ womb where we were also enveloped by mucous waters, like the amniotic fluid. It refuses contact with the anything, and nothing wants to touch it either. The shape of such a mucous liquid is a protective layer sheltering the intrinsic identity and desires of man. It is also a substitution that satisfies the ego’s instincts otherwise suppressed by social norms. The dolls’ eyes stare aloof and distant, like those of someone dreaming of restraint. Their equivocal gazes reveal nothing, reminding us of images in the mirror that reflect the deepest undercurrents of the human emotions. 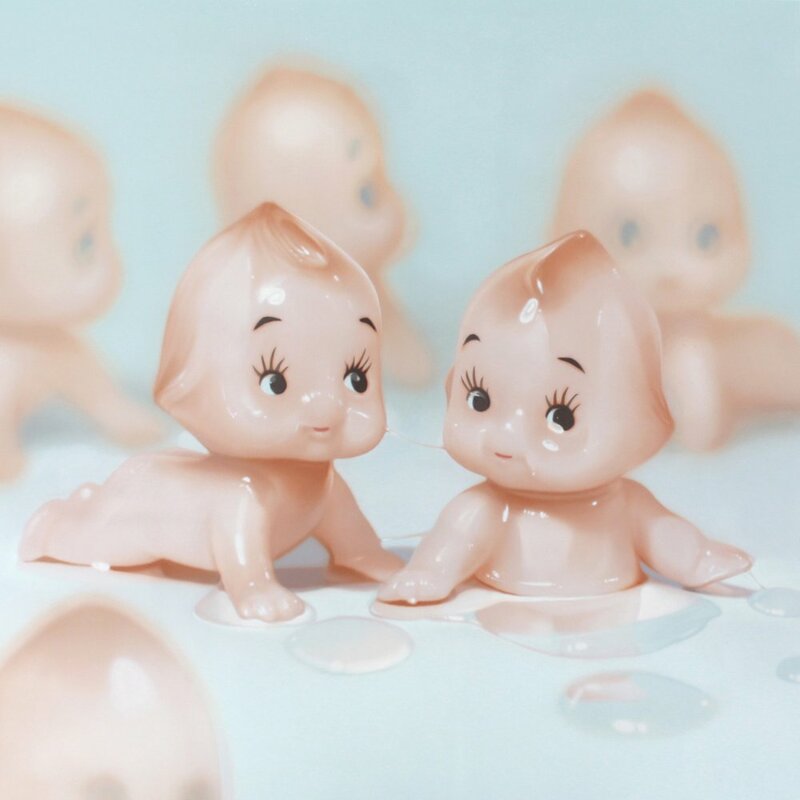 In “Seventeen Babies”, more tiny dolls lie scattered where the body fluid has drooled. 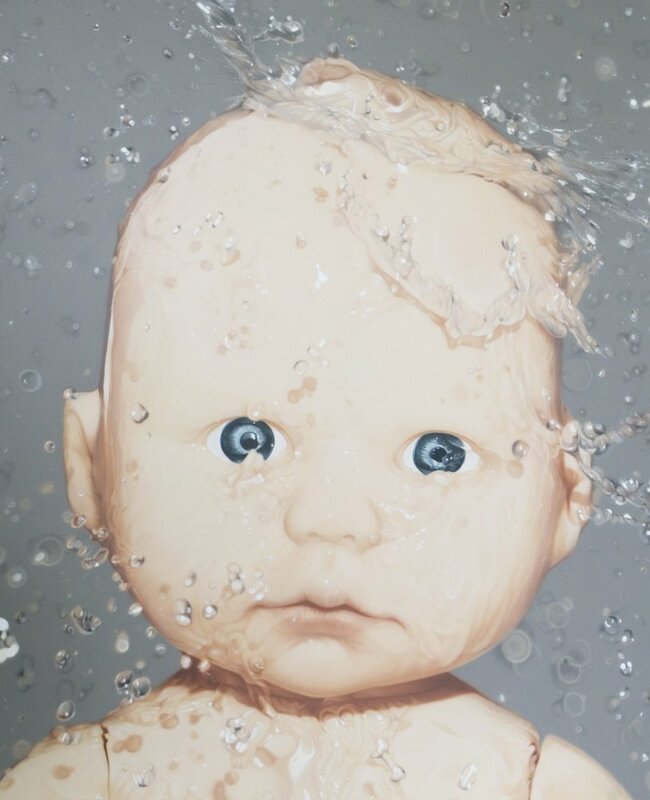 The smooth surface reflects the face of the large doll dripping the liquid, so that what is and what is not appear to be connected as one. Two dolls each gaze in different directions in “Twins” but their heads and hands are joined by mucous fluid, denoting their togetherness as a community. In this way, Do layers emotions from human nature and the diverse factors resulting thereof onto the dolls in one canvas, reconstructing his own story in the form of a fetish. 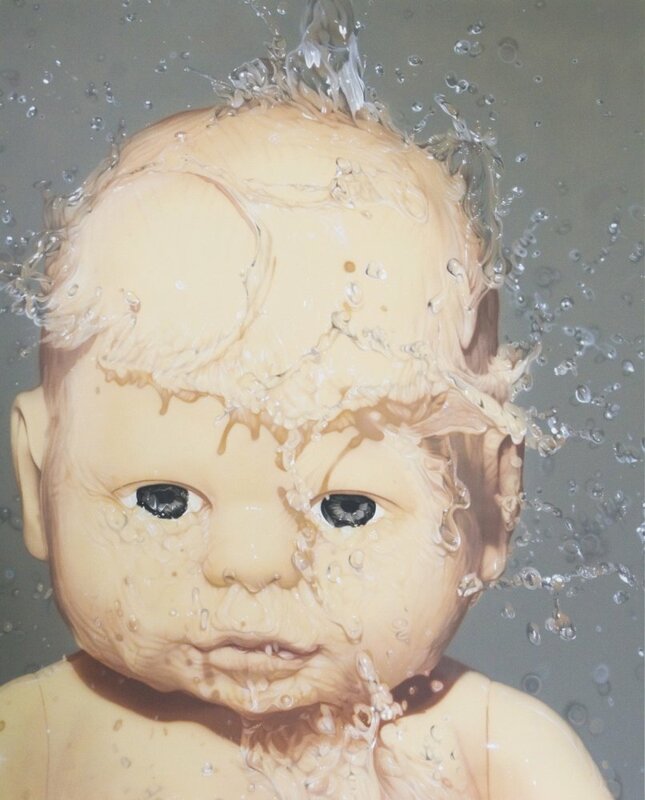 His newest works also illustrate another persona in addition to the mucous body fluid. The mask worn by a doll is a representation of the ideal self that adapts itself to the demands made and roles defined by the society, and this additional safeguard protects the self against the outside environment. Do explores the symbolic aspects of such an environment with its ambiguous boundaries between social expectations and the unique psychologies of the individual living within the framework of society and family. What kind of expression the doll may be wearing behind its mask is left completely to our own imaginations.